“Tuesday night’s results confirm that this is a winnable district. We have a lot of work to do in the coming months, but I am confident we can bring new leadership to this district,” said Sean Flynn Candidate for the 31st Congressional District. “I am humbled by the support from the voters last night. While there are still votes being counted, last night’s first place finish confirms that this is a winnable district. I want to thank my campaign team and our incredible volunteers who worked hard to make this win a reality.” said Sean Flynn. “We have a lot of work to do in the coming months, but I am confident we can bring new leadership to this district,” Flynn added. Sean Flynn was the only Republican challenger to defeat an incumbent in the State of California on Tuesday night. The victory has attracted national attention to the race. The 31st District includes all or portions of Upland, Rancho Cucamonga, Fontana, San Bernardino, Highland, Redlands, Loma Linda, Grand Terrace, Colton, and Rialto. Flynn is the best-selling author of Economics for Dummies. He is also coauthor of the world’s best-selling college economics textbook, Economics: Principles, Problems, and Policies. An avid martial arts enthusiast, Flynn is also a former U.S. National Aikido Forms Champion and coach. Flynn is single and lives in Redlands. Inland Empire residents know from painful experience that America faces an unacceptable level of gun violence. Whether at a workplace in San Bernardino a high school in Palmdale, or in Santa Fe, Texas, far more needs to be done to prevent these tragedies. As we discuss our options, I would like to point out that there are at least five common-sense solutions that can be enacted immediately to help safeguard students and schools from a repeat of the tragedy in Palmdale. You have probably never heard of them because the political parties have gone to polar extremes and are more interested in finger pointing than proven solutions. Our fundamental problem is that students and schools have been left defenseless. It wasn’t always like that. When I was growing up in the 1980s and attending junior high and high school in the gang-plagued Los Angeles Unified School District, we had metal detectors to stop students from bringing weapons (both knives and guns) onto campus. It worked and metal detectors are something that we now as a society embrace at airports, concerts, and government buildings. We need to place metal detectors in schools once again. Nobody should be able to walk casually onto campus with a firearm and shoot children. Let’s also embrace more recent prevention technologies. Consider the Salto electronic door locks that the Loma Linda Unified School District just installed at every one of its schools. Each principal in the district now has a mobile app that allows them to lock down their entire campus in just eight seconds if there’s an emergency. Some might object to the $1.4 million cost, but this proven technology comes out to just 8 cents per student per day. That’s a bargain by any measure, especially so when considering how infinitely precious our children are. Another proven lifesaver is the ShotSpotter acoustical gunshot detection and location system, which uses ordinary microphones to detect and locate gunfire. Within seconds, it can detect that firearms have been discharged, tell authorities the location to within 10 feet, and even tell them if there was more than one shooter. ShotSpotter is used by more than 90 cities around the world and is credited by the San Francisco Chief of Police with helping to reduce both gun crime and homicides by fifty percent over the past 10 years. We need ShotSpotter at every school in America and in the neighborhoods that surround them. Fences and metal detectors are the first line of defense. ShotSpotter lets authorities know when something has gone wrong. And Salto allows for instant lockdown. But we must also have trained professionals on site at every school ready to engage and disable if a shooter manages to get past the fences and metal detectors. So I once again recommend proven solutions. The schools I attended back in the 1980s had armed police officers patrolling the halls and walking the perimeter. They were some of the nicest adults I ever met, but their purpose was simple and meaningful: If anyone tried to harm me, they would stop them…dead if necessary. Society, of course, also needs to seriously reconsider how it deals with the violently mentally ill and to have a serious talk about the best ways of restricting potential predators from gaining access to firearms. Both of those debates will be heated, but both sides should consider a new type of restraining order that can deny firearms to potential shooters. It’s called a Gun Violence Restraining Order (GVRO) and it allows family members and others who are close to a disturbed individual to present real evidence—such as screen shots of social media posts or copies of diary entries—to a local judge who can then issue a 21-day restraining order that allows the police to temporarily deny weapons to the disturbed individual. California’s GVRO law went into effect in 2018, but California is one of just five states to allow for GVROs. Other states should consider adopting GVROs and citizens should be made aware that GVROs are an important option for those living with potential predators. The best fence is the one that’s never breached, the best metal detector is the one that’s never set off, and the best Salto system is the one that’s never activated. But until we can 100% deny weapons to the violently mentally ill, we need all of them, as well as ShotSpotters, school police, and GVROs. They are proven, practical, cost effective and would make another Palmdale much less likely. I hope we implement each of them as soon as possible. Our children must be protected. I live in Redlands. I am a recognized economist, business owner, educator,and Board member on the San Bernardino County Employees’ Retirement Association. I am also the author of the best-selling book Economics for Dummiesand the coauthor of the world’s best-selling college textbook, Economics: Principles, Problems, and Policies. Congressional Representatives Paul Cook (CA-08), Ed Royce (CA-39), Ken Calvert (CA-42), and Mimi Walters (CA-45) are endorsing Sean Flynn in his run for California’s 31st Congressional District. Flynn corrals the area’s top Republican endorsements including: Morrell, Hagman, Lovingood, and Rutherford for his bid to win a spot in the 31stcongressional race on Tuesday, June 5. RANCHO CUCAMONGA, CALIF. – Congressional Representatives Paul Cook (CA-08), Ed Royce (CA-39), Ken Calvert (CA-42), and Mimi Walters (CA-45) are endorsing Sean Flynn in his run for California’s 31st Congressional District. “My top priority is jobs. We are going to create more jobs in California and our Nation by becoming business friendly. We are going to grow our small businesses, our medium sized businesses and our big businesses. We are going to cut the useless red tape that stifles business growth and empower American businesses to create more and better JOBS,” said Flynn. Flynn has secured additional major endorsements from: State Senator Mike Morrell; San Bernardino County Supervisors Curt Hagman, Robert Lovingood, and Janice Rutherford. The National Republican Congressional Committee (NRCC) names Sean Flynn as one of its “On the Radar” status as part of the NRCC’s highly selective “Young Guns” program. These candidates have met a series of rigorous goals and surpassed program benchmarks to establish a clear path to victory, ensuring that CA-31 is a battleground district in 2018. Flynn gained national attention as the best-selling author of Economics for Dummies now in its third edition. He is also coauthor along with Campbell McConnell and Stanley Brue of the world’s best-selling college textbook, Economics: Principles, Problems, and Policies. Flynn is a recognized economist, business owner, the Chair of Economics Department at Scripts College in Claremont, and Board member on the San Bernardino County Employees’ Retirement Association (SBCERA). An avid martial arts enthusiast Flynn is a former U.S. National Aikido Forms Champion and has coached four of his students to U.S. national aikido titles. Congressman Paul Cook represents San Bernardino County, and serves on the House Armed Services Committee, Foreign Affairs Committee, and Natural Resources Committee. Cook is a retired Colonel in the United States Marine Corps. Congressman Ed Royce represents parts of Los Angeles, Orange, and San Bernardino counties, and is the Chairman of the House Committee on Foreign Affairs. Congressman Ken Calvert is a small business owner representing Riverside County. Calvert serves on the House Appropriations Committee. Congresswoman Mimi Walters represents Orange County and serves on both the House Judiciary Committee as well as the Committee on Transportation and Infrastructure. 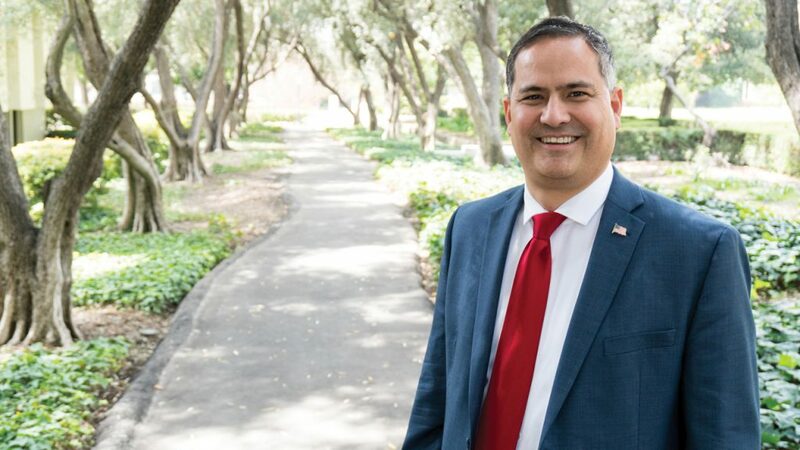 Flynn is running for the 31st Congressional District representing all or portions of Upland, Rancho Cucamonga, Fontana, San Bernardino, Highland, Redlands, Loma Linda, Grand Terrace, Colton, and Rialto. The primary election is on Tuesday, June 5, 2018 with the top two vote recipients advancing to the General Election on Tuesday, November 6, 2018. For an absentee ballot or to find your polling place go to: The San Bernardino County Registrar of Voters at sbcountyelections.com. You can also call (800) 881-VOTE (8683) or (909) 387-8300. 05.25.2018 Sean Flynn for Congress Comments Off on How Many Stamps Does My Mail In Ballot Need? How Many Stamps Does My Mail In Ballot Need? 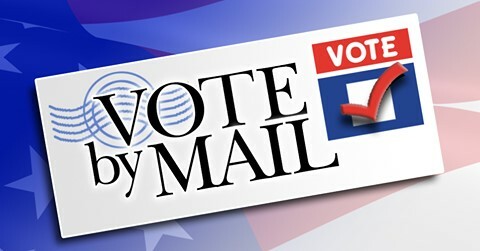 Mail in ballots were sent out on May 9th., and rumors say voters must add two stamps to their ballots. Ialand Empire, CALIF.- People who vote by mail are accustomed to using one stamp to send in their ballots, but there’s a rumor circulating that this June the ballot is larger than usual, and that extra weight requires an additional stamp. Mail in ballots were sent out by the San Bernardino Registrar of Voters on Wednesday, May 9th, and will start arriving as early as May 10th, so knowing what to do is important. “We checked with the San Bernardino Registrar of Voters, and according to their office each ballot will have instructions that will let you know if you need to use one or two stamps,” said Flynn, candidate for the 31st Congressional District. “I encourage every vote by mail constituent to review the issues and candidates carefully, then complete their ballot early, and mail it to the San Bernardino Registrar of Voters office,” said Flynn. If you have questions about the voting process or the location of your polling place go to: The San Bernardino County Registrar of Votersat SBCountyElections.com. You can also call (800) 881-VOTE (8683) or (909) 387-8300. 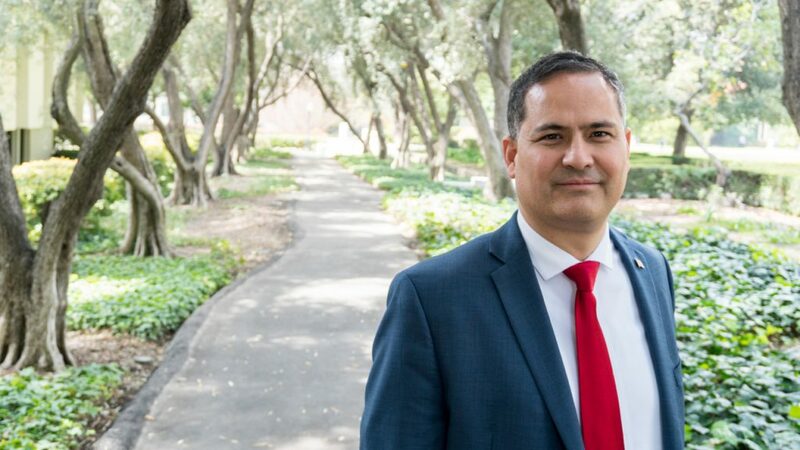 Sean Flynn is running for the 31st Congressional District representing all or portions of Upland, Rancho Cucamonga, Fontana, San Bernardino, Highland, Redlands, Loma Linda, Grand Terrace, Colton, and Rialto. The primary election is on Tuesday, June 5, with the top two vote recipients advancing to the General Election on Tuesday, November 6. Inland Empire, Calif. The Inland Empire Tax Payer’s Association host the first Congressional Candidates Forum for the 31st District moderated by local news reporter and KCAA Radio’s Joe Lyons. Candidates Republican Sean Flynn and Democrat Kaiser Ahmed have confirmed their attendance. As of this writing Democrat Pete Agular is invited but has not confirmed his attendance. The forum is Wednesday, May 30thfrom 6:00 p.m. to 7:30 p.m.in Rancho Cucamonga at the Lions East Community Center, 9191 Baseline Road. “The goal of the candidate’s forum is to give voters an opportunity to hear the positions of each candidate and ask them questions. Come ready with your questions,” said Lyons. While touring at Kelley Space in San Bernardino, Sean Flynn candidate for the 31st Congressional District looks at the machines cylinder used in pulley systems that helps electricians perform their job more safely. Flynn toured 31st district businesses to learn more about their companies and what they need from government. Sean Flynn is on the left and in the front right is Mike Gallo Presdient of Kelly Space. “The same issues came up repeatedly: overregulation, high healthcare costs, tax reform, high workers compensation rates, and burdensome, confusing labor laws that add cost and hurt worker productivity,” said Flynn. Rancho Cucamonga, CALIF.- Economist, jobs expert, academic, and congressional candidate Sean Flynn had a busy week meeting with local small business owners during National Small Business Weekto learn about the needs of businesses in the area and how our government can serve them better. “California does not have a business-friendly environment, which is why it is so important for me to hear from small business owners who are working hard to run successful companies in San Bernardino County. We are going to work together to find solutions to the problems that confront them daily,” said Flynn, candidate for the 31st Congressional District. Small businesses make up a large part of the economy. According to the Small Business Association (SBA) more than half of Americans either own or work for a small business, and these businesses create about two out of every three new jobs in the U.S. each year. Business leaders joining the discussion included: Denny Shorett owner of Crown Connect, a 40 year old printing company in San Bernardino, Fontana’s California Recyclersowner Cristina Valle-Parke, California Financial Plannersowner Rich Crean from San Bernardino, and Account Executive M’liss Silva with City News Group, which has six publications in the Inland Empire. Sean Flynn candidate for the 31st Congressional District Cristina Valle-Parke, owner of California Recyclers in Fontana. Flynn toured 31st district businesses to learn more about their companies and what they need from government. Flynn also sponsored a free jobs workshop in Rancho Cucamonga. The workshop helped local high school and college students create job winning resumes, fill out job applications that will make them stand out from their competitors, and practice successful interview skills. The jobs workshop was lead by Karina Anderson from Employment Means Success, a local nonprofit dedicated to finding qualified people jobs. Flynn is a co-founder of the non-profit and is vice president of the board of directors. In addition to these events, Flynn visited local businesses. 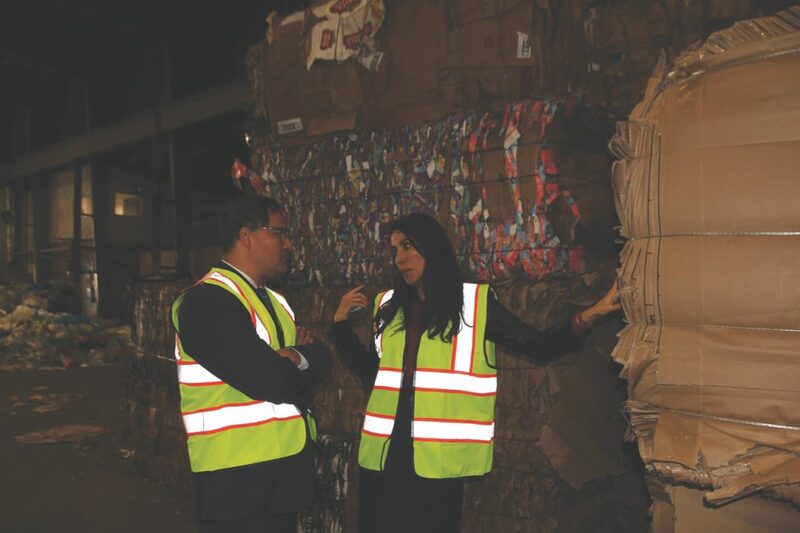 He toured California Recyclersin Fontana, Valley Resource Center’s San Bernardino County branch in Fontana, Flamingo Palms Cuban Cafeserving Caribbean Cuisine in Rancho Cucamonga, Angel Jewelersin Rancho Cucamonga, and local chopped salad franchise Chop Stop, owned by Kelley Choi in Rancho Cucamonga. The tours continued with Flynn touring Kelly Spaceand Technology with President Mike Gallo, and Technical Employment Trainingin San Bernardino, which provides manufacturing trades education and hands-on machinist skills training to prepare students for National Institute for Metalworking Skills (NIMS) credentials. At each stop, Flynn got to sit down and talk with the owners about the issues they face while doing business in San Bernardino County. “This is just part of my meetings with local business owners. It was exciting to celebrate Small Business Week, and I will continue to stay connected with business owners small, medium and large. I celebrate the successes of local businesses and support them daily,” said Flynn. Flynn gained national attention as the best-selling author of Economics for Dummies. He is also coauthor of the world’s best-selling college textbook, Economics: Principles, Problems, and Policies. An avid martial arts enthusiast, Flynn is also a former U.S. National Aikido Forms Champion and has coached five of his students to U.S. National Aikido titles. To find your polling place go to: The San Bernardino County Registrar of Voters. You can also call (800) 881-VOTE (8683) or (909) 387-8300. Inland Empire, Calif. The Inland Empire Tax Payer’s Association host the first Congressional Candidate Forum for the 31st Districtmoderated by local news reporter and Radio’sJoe Lyons. Candidates Republican Sean Flynn and Democrat Kaiser Ahmed have confirmed their attendance. As of this writing Pete Agular was invited but has not confirmed his attendance. The forum takes place in Rancho Cucamonga at the Lions East Community Center, 9191 Baseline Road. The event is Wednesday, May 30thfrom 6:00 p.m. to 7:30 p.m. The 31st District represents all or portions of Upland, Rancho Cucamonga, Fontana, San Bernardino, Highland, Redlands, Loma Linda, Grand Terrace, Colton, and Rialto. (SAN BERNARDINO, Calif.) The “miracle” of Christmas is repeated through the joy of caring and sharing. 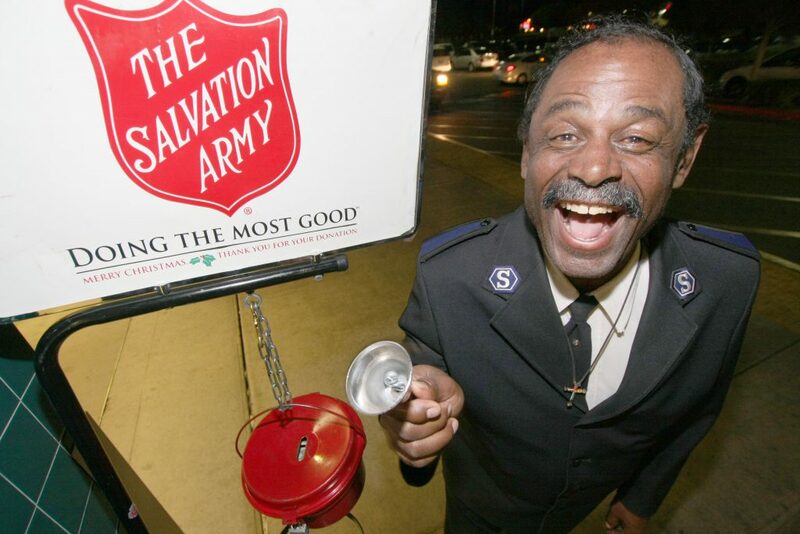 The San Bernardino Salvation Army (www.salvationarmyusa.org) seek your donations to the Silver Bell Ringers at the Red Kettles in: the mountain communities, Bloomington, Colton, Grand Terrace, Highland, Rialto, Loma Linda, Yucaipa, Redlands and San Bernardino. The nationally recognized shiny Red Kettle and our happy bell ringers are an integral part of the Christmas scene. Each year millions of dollars donated nationally to aid needy families, children, seniors, and the homeless, in keeping with the spirit of the season. 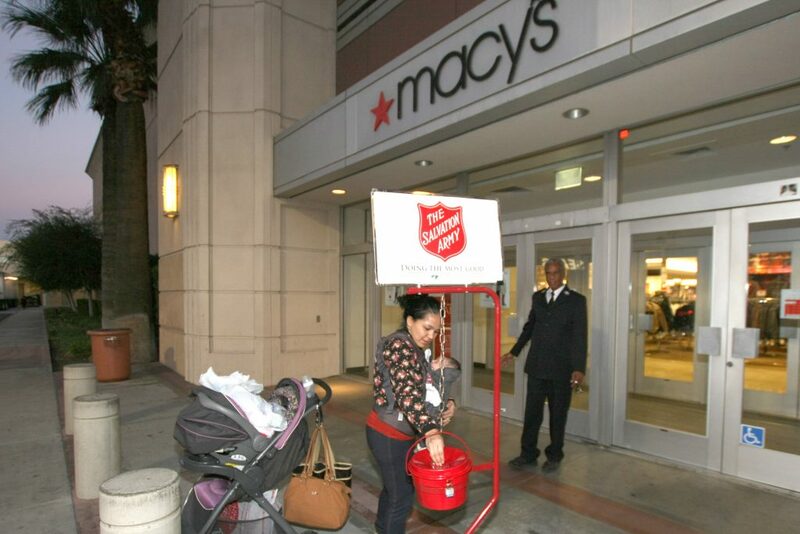 “This is a wonderful way to help disadvantaged people in our community, simply by donating to as bell ringers and the Red Kettles,” said Major Daniel Henderson, commander of The Salvation Army of San Bernardino. The Salvation Army began ringing its bells this year on Wednesday, Nov. 15 and continues from 10 a.m. through 6 p.m., Monday through Saturday until Christmas Eve. Photo 3 IMG_1590 Haskel and Claudia: Claudia Torres from San Bernardino and daughter Barbara, came by Macy’s to pick up some items, and decided to stop by the kettle to make a donation on her way out. Although Claudia had no idea what The Salvation Army uses the money for, she gave anyway. Claudia was informed all about the various ministries and how The Salvation Army helps feed the poor and homeless, and has a Transitional Living Center and Homeless shelter. Where does the money raised by the ringing bells in our region go? The Salvation Army provides emergency services including food; lodging for homeless or displaced families; clothing and furniture; assistance with rent or mortgage and transportation when funds are available. The Salvation Army Team Emergency Radio Network (SATERN) assists rescue workers and evacuees in disasters such as fires and earthquakes. For Christmas, the Salvation Army creates holiday food baskets for about 500 local families, provides toys to needy children. On Christmas Eve, The Salvation Army of San Bernardino hosts a Christmas Dinner that historically provides a delicious meal to approximately 200 people. Donations from people who donate to the Red Kettles help make this possible. The Corp has other need for your financial and food donations. “The San Bernardino Corps needs food every day for those at its Hospitality House and Transitional Living Center,” said Major Henderson. Up to 75 family members stay in its transitional and emergency family shelters called The Hospitality House. 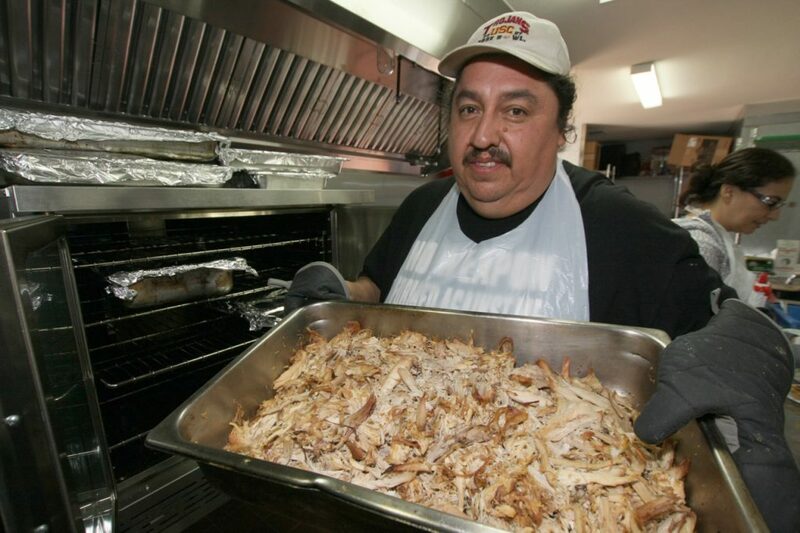 The Salvation Army serves Thanksgiving and Christmas dinners in San Bernardino, Redlands and in The Mountain Communities meals for the homeless, hungry and hopeful. Your donations are needed to keep this program going. To donate to The Salvation Army online, go to: www.salvationarmyusa.org. To donate by phone call 1-800-SAL-ARMY (800-725-2769). Donors may drop off turkeys, hams other food, cash or gift cards at the Salvation Army’s Corps Office at 2626 Pacific St., in San Bernardino, CA 92346, phone (909) 888-1336. Captain Joseph McFee, serving with the San Francisco Salvation Army Corps in 1891, wanted to serve Christmas dinner to the poor in his neighborhood. But he didn’t have money to do so. As a sailor in Liverpool, England, Captain Mcfee saw people on the docks throw money into a large kettle called “Simpson’s Pot” to help the poor. He decided this might work in California too. Captain Mcfee set up a kettle at the Oakland Ferry Landing, which operated a ferry that was, in those days, the only way across San Francisco Bay. He put a sign on the kettle saying, “Keep the Pot Boiling” and raised enough money to serve the Christmas dinner. His idea spread quickly, and by 1897 Salvation Army Corps nationwide were collecting money in kettles to serve the needy in their communities. Among the Salvation Army Corps collecting money this way before the turn of the 20th Century was The Salvation Army of San Bernardino, which formed in 1887. The Salvation Army is an evangelical part of the Universal Christian Church, and offers holistic programs for individuals of all. One of the largest charitable and international service organizations in the world, The Salvation Army has served San Bernardino and the Inland Empire since 1887, supporting those in need without discrimination. The San Bernardino Corps of The Salvation Army serves Bloomington, Colton, Grand Terrace, Highland, Rialto, and San Bernardino. Donations may always be made online at www.salvationarmyusa.org or by calling 1-(800)-SAL-ARMY. Our local service number is (909) 888-1336. (San Bernardino, Calif.) The San Bernardino Salvation Army Corp (http://SanBernardino.Salvationarmy.org ) hosts its annual Christmas Dinner for hundreds of people at its headquarters, 2626 Pacific St., in San Bernardino, CA 92346. This year, the Christmas dinner will be held on Sunday, December 24 from 1:00 p.m. to 3 p.m. Church services are from 11:30 a.m. -12:30 p.m.
“We share the joy and love of our God who sent his only begotten son, Jesus Christ, to save us from sin. He taught use to love our neighbors as ourselves. We share this Christmas meal and meals every day to show those in need that God truly cares for all of his children,” said Major Daniel Henderson, Commander of The Salvation Army San Bernardino Corp. Since 1887, the annual San Bernardino Salvation Army Christmas dinner has served thousands of families, mothers, children and men who do not have the means to provide themselves a Christmas dinner. Some just come to enjoy fellowship with others. People come from Bloomington, Colton, Grand Terrace, Highland, Rialto, San Bernardino and the mountain communities for this annual Christmas celebratory meal. The dinner often serves more than 200 people. “This year, guests will enjoy a turkey dinner with all the trimmings, containing potatoes, gravy, stuffing, vegetables, pie and other food received from donations,” said Major Henderson. Many of the services provided by the Salvation Army, such as this annual Community Christmas dinner, are made possible through in-kind donations and money raised through the Red Kettle Bell Ringer campaign. “It’s one of ministries your donations serve,” said Major Henderson. Each Christmas, Inland Empire Salvation Army Corps in eight corps locations combine to serve about 1,800 people holiday meals. The hungry families are joined by hundreds of volunteers who help prepare the food and serve meals to the families. Along with asking volunteers to help serve food, the Salvation Army is encouraging people to donate turkeys or hams, side dishes and other food by calling (909) 888-1336. “The San Bernardino Corps also needs food every day for those at our Hospitality House living shelter,” said Major Henderson. Up to 75 family members stay in its transitional and emergency family shelters. For more information about the Salvation Army Christmas dinner, donations or volunteering for the Christmas dinner at The Salvation Army near you, call or visit the locations below. San Bernardino, 2626 Pacific Avenue, (909) 888-1336. Ontario, 1412 S. Euclid Ave., (909) 986-6748. Victorville, 14585 La Paz Drive, (760) 245-2545. Redlands, 838 Alta St., (909) 792-6868. Moreno Valley, 14075 Frederick St., (951) 653-9131. Hemet, 340 S. Palm Ave., (951) 791-9495. The Salvation Army may be able to provide emergency services including food; lodging for homeless or displaced families; clothing and furniture; assistance with rent or mortgage and transportation when funds are available. The Salvation Army Team Emergency Radio Network (SATERN) assists rescue workers and evacuees in such disasters as fires. The Salvation Army is an evangelical part of the universal Christian Church, and also offering holistic programs for people of all ages. One of the largest charitable and international service organizations in the world, The Salvation Army has been in existence since 1865 and in San Bernardino since 1887, supporting those in need without discrimination. The San Bernardino Corps of The Salvation Army serves Bloomington, Colton, Grand Terrace, Highland, Rialto, and San Bernardino. Donations may always be made online at www.salvationarmyusa.org or by calling 1-(800)-SAL-ARMY. Our local number is (909) 888-1336.
Who: Stater Bros Charities Donates $20,000 to The Salvation Army from their Harvest Grant. $10,000 each for Riverside and San Bernardino Counties. Why: Stater Bros. Charities is proud to continue our partnership with The Salvation Army to help feed our neighbors in need in Riverside and San Bernardino Counties. What: Check presentation from Stater Bros officers to Salvation Army officers, board members and bell ringer. Info: The Salvation Army has served San Bernardino and the Inland Empire since 1887, supporting those in need without discrimination in Riverside and San Bernardino Counties. Contact: Media for more information call Carl Dameron @ (909) 534-9500.